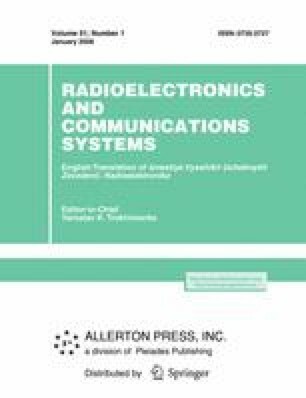 In this paper we discuss an operation of the acousto-optic videosignal temporal scale converter, which can operate in temporal compression mode and also in temporal expansion. Original Russian Text © A.M. Pashaev, A.R. Gasanov, Kh.I. Abdullaev, 2008, published in Izv. Vyssh. Uchebn. Zaved., Radioelektron., 2008, Vol. 51, No. 1, pp. 75–80.